At Oak Harbor, we understand that everybody has different athletic abilities, skill levels and goals. We individualize our instruction to suit each player's body type, ability, and skill. We know that better posture, alignment, and improved swinging techniques make for a more successful and enjoyable game of golf. 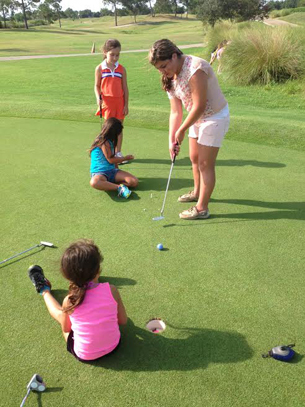 Our Professional, staff provides instruction to players of all levels. When looking for help with your game or just looking for the perfect gift, ask one of our friendly Pro Shop team members for assistance. 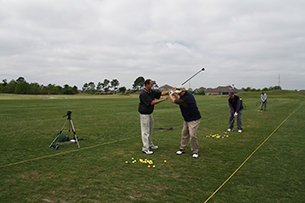 We can arrange lessons with our professional staff to quickly shave strokes off your game. And we are happy to help you select, wrap and ship gifts for that special golfer in your life, no matter where they are. So whatever your needs may be, our Pro Shop staff is always happy to provide you with quick, knowledgeable, friendly service. 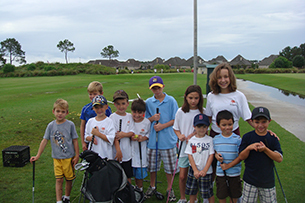 From the beginner to the tournament player, all of our students are taught ways to improve their golf games with a focus on building the fundamentals of a great swing for life. 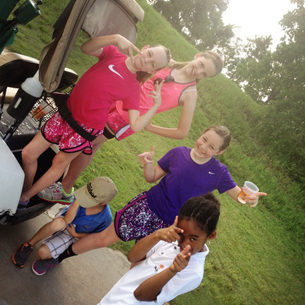 We offer beginning classes to encourage a love of the game and have a large number of juniors, ladies and seniors involved in specific programs to suit there unique needs and goal. The use of video makes enhances the learning experience we can also coordinate club fitting to make sure the clubs you swing compliment the swing you've got.